Publishing is the process of distribution of information to the public in the form of books, literature, newspaper, periodicals, magazines and other areas. The profession is associated with printing and retailing of printed matters. Publishing industry has its own set of parameters and is mainly divided into editorial, designing, production, printing, advertising, publicity and marketing. With the advent of digital developments, books, magazines and papers, are being published electronically as e-books or e-papers. Books are the primary source of gaining knowledge. Book publishing is a creative and traditional industry that offers an innovative multi-dimensional content delivery including digital, online, interactive audio/video content in addition to print content. A career in this field is becoming more and more promising, challenging and exciting with the development of new delivery channels. Those who love books and have avid reading habits, literary and creative effort, business acumen, interest in marketing can get into book publishing career. To build a career in book publishing, one should be well aware of the various techniques such as development, acquisition, copyediting, graphic designing, production, printing, marketing and distribution of books through various media. Publishing industry requires people with different skill sets and educational qualifications for the various departments from freelance translators, illustrators, writers, printing technicians, marketing personnel etc for various assignments. The main job of a publisher is supervising every stage from selecting and commissioning manuscripts or written materials, preparing manuscripts for printing, overseeing the printing and binding, designing or overseeing the final appearance of books and marketing of the final product. The publisher is responsible to see that the published works are sold off in the market. Graduates in any field can engage in a career in book publishing. Publishing houses give more preference to those with PG/ Diploma in publishing courses. Most book publishing houses consist of editorial, production, marketing and distribution departments and each department requires people with different skill sets and educational qualifications. Editorial section need graduates/ post graduates with journalism and mass communication where as production and printing section requires candidates with printing diploma and processing knowledge about the technicalities of the printing process, artwork as well graphic design with computing skills. Marketing and sales department requires graduates in any discipline with preference for MBA holders. Affection for books, excellent reading habits, excellent written and spoken communication skills, good organizational skills, technical skills, creative ability, ability to analyze and judge facts critically, ability to work in a team, good editorial skill, business insight are the key requirements to become a good book publisher. Excellent command over English or proficiency in the regional language is mandatory to work in the regional publishing sector. For marketing department, marketing or convincing skill is essential. Stamina to work under pressure & multi-tasking are essential for a book publisher. In order to produce books that cater to the taste of the society the publisher should have a know how of social, economic and literary trends. Job opportunities are available for highly qualified and experienced candidates in the publishing field. One can find employment in private or government run book publishing companies specializing in textbooks, paperbacks, technical literature, art books and children's books. Those with appropriate training and diploma in printing technology can get jobs in printing presses either government / commercial/ university press, online book publishing houses, Newspapers, TV/ Web channels etc. After completing a course in Book publishing, one can choose a job as per their qualification, in any of the departments of publishing houses, such as editorial, production, distribution, sales and marketing. The duties and responsibilities of these professionals vary with the areas they work for. Editorial Department: Editorial Department, one of the most important departments is the backbone of a book-publishing house that deals with the making of book from the manuscript stage to its final stage. In the editorial department one can work as editor, proof-reader, development editor/ project manager, project assistant, copy editor, assistant editor, sub-editor, subject editor, research editor etc. To become a good editor one should possess an excellent command over English / regional language, have proven editing skills, an eye for detail and general awareness. The main job of the editors and chief editors is to direct the policy of the publication house, manage the staff and coordinate all the work. In the editorial section, freshers with post graduation are generally appointed at the sub-editorial level, or as trainee sub-editor or junior sub. Even students with higher secondary qualification can start their career in a publishing house as an apprentice for two to three years and after training, can progress to higher positions. Design department: The design department looks into the graphics and do artwork for the books. This department might hire the service of freelancers to design illustrations and cover design, photographs etc. Production Department: It is the production department that gives the final appearance to books and magazines. 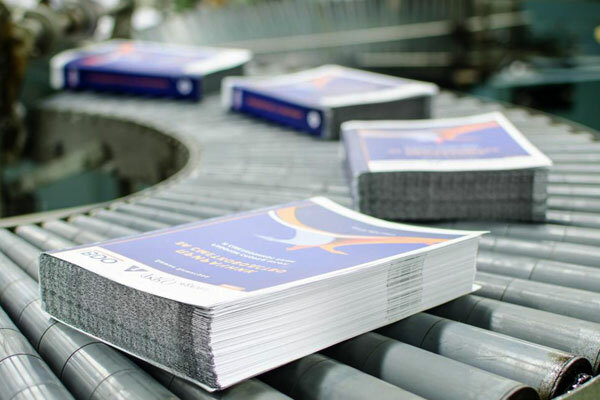 Production department works together with the editorial and design departments, and jointly take decision about the look of the books, terms of its shape, size, cover, number of pages, the typeface and paper to be used, printing and binding of books. To get into the production department one should possess a degree/diploma in printing technology, have knowledge in artwork, graphics or designing. In the production department one can enter as an assistant production executive or production in-charge and can become the Production Manager, with experience and qualification. The main responsibility of the Production Manager is to manage and supervise the entire production process such as design, production, scheduling, trafficking, coordinating the printing and binding of the books as well as the pricing and marketing of the product. Marketing and Sales Department: Marketing and Sales department are responsible for book promotion, book marketing, Internet marketing, conducting and managing book exhibition and fairs, organizing book release programs and sale of the books. Their main job is to bring out the intrinsic value of the book to the readers, understand the market requirements by conducting research on sales and feedback, conduct sales campaigns, provide information about forthcoming books to libraries, bookstores and the general public. In the marketing or sales department, one can work as a sales executive, publicity and promotion officer, sales manager, marketing officer and direct seller. MBA graduates would get a high profile job in the sales and marketing departments. Employment opportunities are available in the central and state government agencies such as the Ministry of Information and Broadcasting, and Ministry of Education and Culture, who have their own publication divisions. Besides, Government organizations involved in publishing educational and cultural publications such as Sahitya Academy, Indian Council for Cultural Relations and the Indian Council of Social Science Research also need publishing professionals. One could also work in publishing houses of charitable organizations such as National Book Trust, NCERT and the Children’s Book Trust. Job openings are also available in many Indian & international publishing houses such as Penguin, Harper Collins, Picador, Random House, Oxford University Press and Mac Millen which have either a full-fledged office or their representatives in India. Those who possess great deal of self-motivation and have numerous contacts can begin as a freelancer. With experience, one can become self-publishers and also start one’s own publishing house. Remuneration in publishing industry varies with the job and the publishing house one works for. A fresher can start his /her career in a Book Publishing house with an initial salary of Rs. 10,000/- to 12,000/- per month. Experienced professionals can expect better pay of about Rs. 20,000/- to Rs. 25,000/- per month with handsome bonuses and perquisites. At the initial level, a Production Assistant gets between Rs. 10,000 - 12,000/- and a Production Manager gets above Rs.20,000 per month. A promotion/ marketing manager starts with an 15000/-per month on an average. Editor or the chief editors of book-publishing houses have higher salary packages than the other staff of the industry. Freshers in the editorial department receives an average salary of about Rs. 12,000 - Rs. 15,000 per month. After 5 to 6 years experience they can expect better pay of Rs. 35,000 to Rs.40,000.